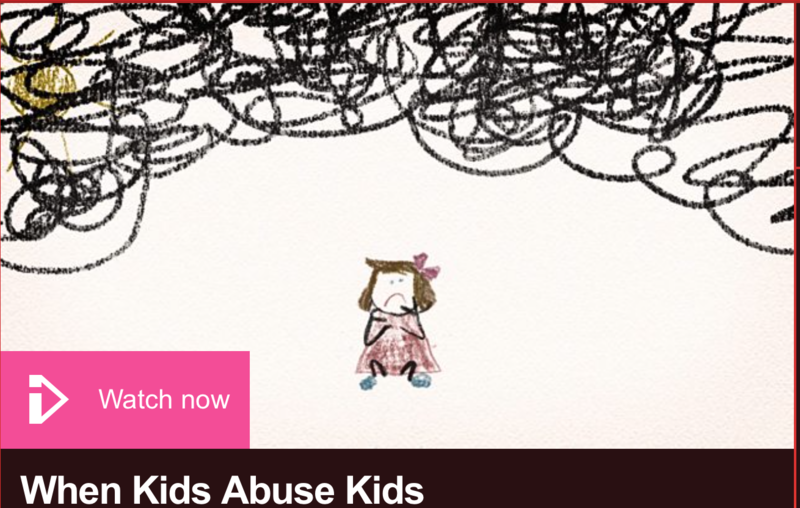 With emerging historic cases of child sexual abuse so prominent in society and the media in recent years, I was intrigued when I heard Panorama were airing an episode which specifically looked at abuse carried out by children. The episode focused on stories of young girls who had experienced sexual abuse whilst at school. Danni, whose abuser was a long time friend, expressed her horror when their relationship changed to involve the boy sexually assaulting her on a regular basis. Emily shared her experience of sexting where she felt pressured to send explicit photos of herself to a boy in her class. She refused to do this, and the boy assaulted her during a class at school. Similarly, Susan spoke about being raped by an ex-boyfriend twice by the time she was 15. Most shockingly, Bella’s mother spoke of her horror at discovering her six-year-old daughter was being sexually abused by two boys in the playground on a daily basis. The episode featured some horrifying statistics. It was reported that out of 200,000 reported cases of sexual abuse every year, approximately one third of these are carried out by other children. In the past three years, this has resulted in an estimated increase of 71 per cent. With the majority of victims being girls, it is a concern that certain attitudes and behaviours, such as sexting, are becoming normalised, leaving teachers at a loss as to what to do. It would appear that this is exacerbated due to the ease of access children have to inappropriate content through the internet and social media. Although the experiences of the girls were all different they all had one thing in common. While some of their abusers were arrested, the girls and their families soon recognised how hard it would be to press charges. This was aggravated even further by the fact that the schools often stated that they were unable to do anything, leaving the only option that the girls themselves had to move school. It is suggested that more government guidance is needed to help combat this problem. Although there is legislation outlining what to do when a child reports abuse by an adult, schools are often advised to follow their own child protection procedures when allegations are made against another child. This can result in many incidents not being reported to an outside agency. The episode also highlighted that issues such as sexual consent are not included as part of the school curriculum. This means that it is up to outside agencies like the Schools Consent Project to step in and be involved in delivering workshops to help children understand what consent is, although this is at the schools’ discretion. The documentary emphatically raises the question about what can be done to reduce the occurrence of sexual abuse in schools and prevent more children from becoming a statistic. Having worked with young people who have experienced sexual abuse, I feel that this emphasis is much needed and that there should be more value placed on this type of work in schools to help put protective factors in place for potentially vulnerable children.